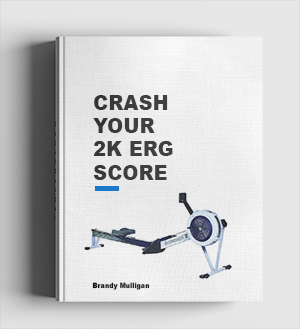 I got an interesting email the other day from Mike, shortly after I wrote about the sprint in rowing and why it can give you a competitive edge. He asked why I thought sprinting wouldn’t affect the general purpose of a particular erg workout. And gave an example of a session where you might be rowing long and steady on a lighter day before a harder quality day of erging. Would sprinting on the lighter day tire you out so that the following day’s quality session would be affected? 20 seconds hard will produce lactate, but it should clear away in the warm down and in the hours afterwards.The 2 minutes 40 seconds before that is a building exercise that will get you prepared mentally and physically for the blow out. I believe its beneficial to mentally practice the run in to the line. I always like to train hard because I don’t have a lot of time. Long gone are the days when I could rack up 2 or 3 sessions a day and now it’s all about being effective with my training. And that means trying to make gains every session. For normal rowers and ergers I believe it’s better to train hard continuously (but with designated recovery days) and come off the gas only in the lead up to the biggest race of the season. Peaking once and once only. All of the other competitions and hard training are just good practice and excellent mental training for me. Sure there are some races along the way that I like to do well in and I micro-taper, but the big picture for me is all about performing in one big event every year. There’s been times when the big race was mid season – and I prepared specifically for that. 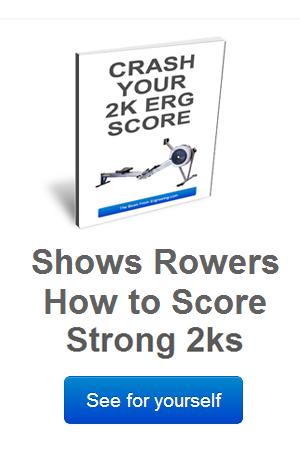 You see I believe that any serious erger, indoor rower and rower in only capable of performing BIG once a season. And when I say BIG I mean a couple-of-chances-in-a-lifetime big. If a season is structured properly and training goes well then a rower should be capable of hitting it right physically and mentally one time only. Think about all the world class rowers and endurance athletes out there and how they prepare for one (2 at most) major championships per year. They train though the competitions of lesser importance because they know that they can only physically and mentally peak properly once a season. If you, like me can only train once a day then you should take a look at your sessions and training plans. Aim to eliminate the floating days where you are erging just for the sake of following the programme and not benefiting much. Aim to make every session count. Use recovery days for recovery – stay away from the erg and rest or do some other easy type of activity like swimming or walking. And when it’s time to train. Train like hell. That’s where the sprint comes in. If you feel like you need to back off a little so you can get the most out of tomorrows session do it. But never waste an opportunity to improve. Ultimately you have to make a value judgment for yourself. Consider your own training history and recovery rates and decide where the trade off lies between today and tomorrow. But I believe that training when you are not exactly fresh can give you enormous mental benefits in the long run. Lots of rowers can train hard when they are feeling good but how many can do it when they feel tired? And one a day when you reach that once-in-a-lifetime-chance and you don’t feel 100% for whatever reason, you know you will prevail.